Khabib Nurmagomedov is more than willing to fight Conor McGregor but only after the UFC pays him what he’s worth. That’s the message the undefeated Russian passed along on Thursday amidst rumors that a deal is nearly done for him to face McGregor later this year. While the fight between Nurmagomedov and McGregor was reportedly being targeted for UFC 229 on Oct. 6, it certainly doesn’t seem like that deal is done right now. 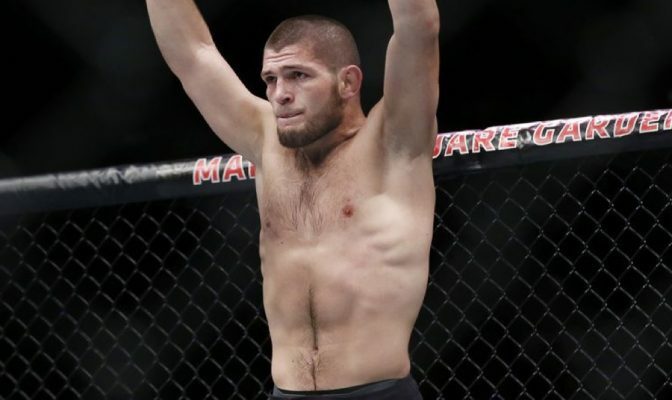 Nurmagomedov says that if the UFC wants him to face McGregor then they need to crack open the checkbook and pay him comparable money to his opponent or he’ll face off with Dustin Poirier instead. “We’re just beginning negotiations,” Nurmagomedov said on Thursday when speaking to Adam Glyn in New York. “I don’t know. It’s about UFC, it’s about Conor too, cause they make decision but interesting situation. If they want to make money fight, they have to pay me, too. I’m not going to give him chance to use my name, Conor makes money, UFC makes money and I make $200,000. No way. Nurmagomedov made no secret that he would love to face McGregor if for no other reason than to silence the outspoken Irishman. That being said, the reigning lightweight champion doesn’t believe McGregor actually deserves a shot at the gold after being out for the past two years so if the fight is going to happen, it has to make financial sense for him. “I hope they’re going to make this fight because I really want to change this guy’s face,” Nurmagomedov said. “I really want this. I really want to meet him alone inside the cage. Only me and him. 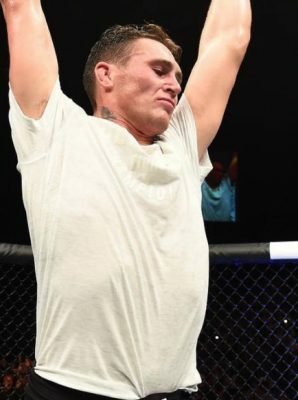 [If] they want to use me, I am the undefeated, undisputed UFC lightweight champion, I no need him. He needs me. The grudge between Nurmagomedov and McGregor definitely seems real at least from the Russian’s side after he was asked about what would happen if they ran into each other with both spending time in New York City recently. Inside the Octagon, Nurmagomedov promised to ‘smash’ McGregor and ‘make him humble’ but none of that will matter if the UFC doesn’t pay him a lot of money to actually make the fight official.